Techkidz offers Summer Camps and Courses for Primary School Children throughout Munster. As well as our very popular Summer Camps we also provide in-school and after school courses, Coding Clubs and workshops. Our Summer Camps and Courses are educational, fun and are structured, organised and teacher led. 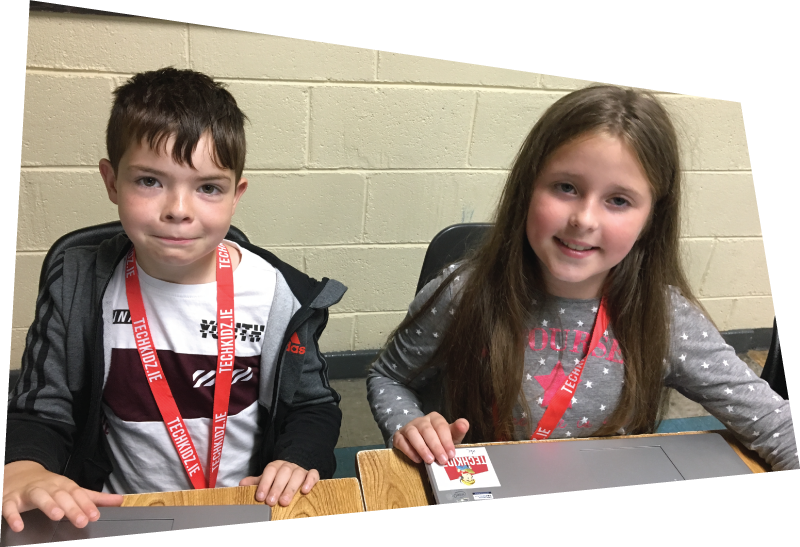 Our Multi Activity Summer Tech Camps are for children ages 7 – 13 years and will be run in 21 venues this Summer in Cork, Tipperary, Kerry, Limerick, Clare and Waterford. Venues include Ballincollig, Bandon, Carrigaline, Clonakilty, Fermoy, Kanturk, Kinsale, Macroom, Mallow, Midleton, Mitchelstown, Youghal, Carrick on Suir, Clonmel, Tipperary Town, Killarney, Tralee, Limerick City, Ennis, Dungarvan and Tramore. On our Summer Camps we do Coding, HTML, Minecraft, Animation, Raspberry Pi, Scratch, Web Design, Robotics. Fun and Educational Multi-Activity Technology Camp for 7 – 13 years. Experienced teachers. Summer 2019 Venues: Cork, Kerry, Limerick, Clare, Waterford and Tipperary. We are now offering our Techkidz programme in Primary Schools throughout Munster. The programme can be tailored to meet the particular requirements of your school. Typically we offer the programme over one term, for 1 – 2 hours per class each week. It is offered during school hours and is suitable for children from first class up. It can be offered over a number of school years to the same children giving them a fantastic opportunity to significantly build up their skills and learning. We also offer taster courses and one day workshops. We have been teaching computers to children and teenagers for over 25 years. Our courses are fun and engaging and cover all the basics as well as advanced skills. We love to teach coding but our courses and Summer Camps are about much more. We really want to encourage our children to study and work in IT and to see the huge opportunities that are there for them. Book your Summer Camp right now! Your booking will be instantly confirmed by email.